One day I chose to reveal myself to God; I allowed Him to speak to me…and this time, I listened. Not to say that God never tried to speak to me before. Looking back, I can recall many occasions when the Lord tried to reveal His love to me. Sadly, at that time, I was too stubborn and blind to see it. The foolishness that I thought was intelligence was actually clouding my judgment. But not this day; this day I wanted to hear all that He had to say. The most amazing thing I came to realize that day was that God can project Himself using many different forms. That day, He spoke through my sister, who, with all of my flaws and faults, still looked upon me with grace and mercy. She told me that He was there for me, and always had been. You see, God is speaking to us all the time – through our parents and professors, through our spouse and friends, even through our children. It is our responsibility, not God’s, to make sure we take the time to tune into what He is trying to tell us. Our minds can easily become crowded with the events of today, and if we aren’t careful, those discouragements can carry over into our world of tomorrow. That is when our thoughts become so distorted that we don’t know which way is up. There is, however, a simple resolution to this. Are you ready? Wait for it… prayer. Many people confuse prayer with petition (making a formal request). Petitioning is a type of prayer, but that is not all that prayer is. Prayer, in its entirety, is a two-way conversation with God – communing with our heavenly Father on an intimate, one-on-one basis. You release into Him and He releases into you. 1 Thessalonians 5:17 says, “pray without ceasing” (NKJV). Those three words are the cornerstone to a monumental life changing experience. 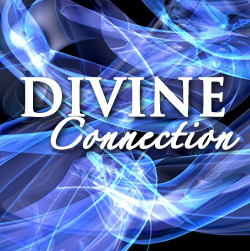 It is your divine connection to the Most High – your problem solver, your care taker, your best friend. There was a pastor who produced one of the most successful ministries the world has ever seen. In his seasoned age, he was asked, “If you could have done anything different, what would it have been?” His answer was so simple. He said , “I would have prayed more.” This pastor has since gone on to be with the Lord, but I think there is something we can glean from this man who knew the importance and the power of prayer. For me, it is the realization that prayer is my gateway to a better life – one that is filled with purpose.